an easy and fun way whilst creating amazing depth and dimension. River Cottage features a lovely riverside scene with pretty houses and a cute boat moored up along the riverbank. 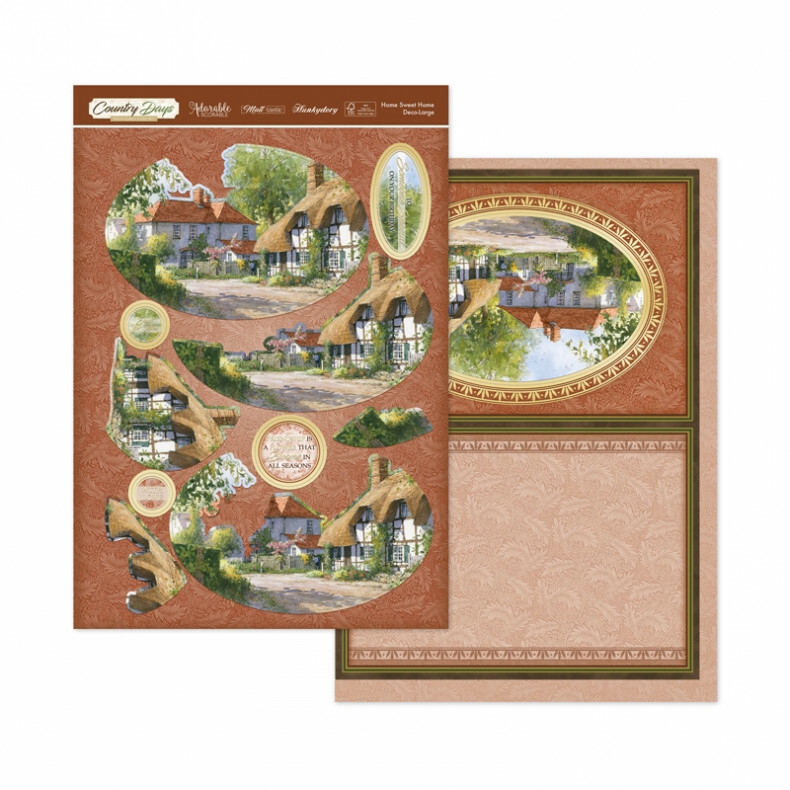 Co-ordinates with the Vintage Label Dimensional card front. Perfect for Birthday and Thank you cards, due to the artwork and colourways co-ordinating with the Topper sets, you can even mix and match sentiments from the other sets to make them perfect for any occasion! Sentiments include; 'The best thing about memories is making them', and 'May today be filled with all the things you're looking for'.